Love under trying circumstances One night out of the blue, Ratchet Clarks ill-natured mother tells her that Ratchet will be leaving their Pensacola apartment momentarily to take the train up north. There she will spend the summer with her aged relatives Penpen and Tilly, inseparable twins who couldnt look more different from each other. Staying at their secluded house, Ratchet is treated to a passel of strange family history and local lore, along with heaps of generosity and care that she has never experienced before. Also, Penpen has recently espoused a new philosophy whatever shows up on your doorstep you have to let in. Through thick wilderness, down forgotten, bear-ridden roads, come a variety of characters, drawn to Penpen and Tillys open door. Polly Horvath has written many books for children and young adults. 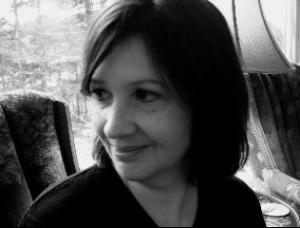 She has won numerous awards including a National Book Award, Newbery Honor, Toronto Dominion Award, International White Raven, Canadian Library Association's Young Adult Book of the Year, short-listed for Germany's most prestigious literature award, the Deutscher Jugendliteraturpreis, the Writer's Trust Vicky Metcalfe Award for her body of work and many others. Her books have been New York Times and Publishers Weekly bestsellers and Rosie O'Donell and Oprah picks. She is translated into over twenty five languages and her books are taught in children's literature curriculums in North America and internationally. She lives in British Columbia.